Complete Business and Shop Floor Solution. reduce costs and increase project performance. Your Expert Partner for Software Projects. reduce costs and increase performance. 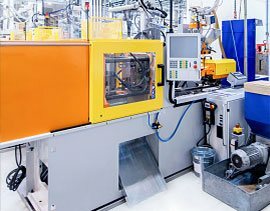 CyFrame’s integrated workflow automation is optimized to significantly enhance internal productivity, compared to generic ERP methods. The CyFrame ERP software eliminates time-consuming customization and IT complexity to deliver the highest value at the lowest cost. 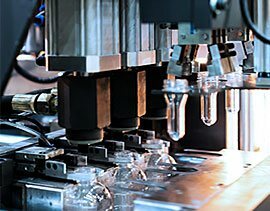 For more than three decades, CyFrame has helped specialized plastics processors optimize business workflows with unique software solutions. Multi-layer blow molding extrusion, PET preforms blow molding, thermoforming, and more. 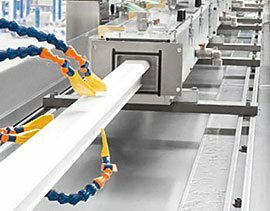 Multi-cavity, multi-level assemblies, over molding, plastics recipe preparation, and more. Co-extrusion, tubing, secondary processes, color, compounding, and more. 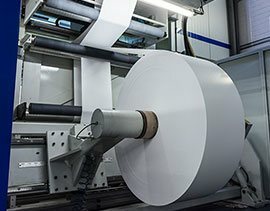 Film and sheeting, product configurator, slitting, laminating, and more. "Our scrap rate has been cut in half and production capacity has increased by 10%. With CyFrame we have become a company with the highest levels of traceability accuracy and have done so without adding additional overhead." "CyFrame is where we handle everything. It gives us all data in real-time so that we can quickly assess the situation, identify the root causes and take corrective actions while we can still make a difference." "We knew we’d made the right decision when two of CyFrame’s very experienced managers arrived in Pennsylvania and offered us a unique combination of ERP and business acumen, industrial engineering and management accounting expertise, all of which was specific and relevant to profile extrusion."